Full Sail University is proud to return as the primary sponsor of the 21st annual Florida Film Festival held April 13 through April 22, 2012 at the Enzian Theater. This is Full Sail University’s ninth year as the primary sponsor and fifteenth year with the Festival. “It is a pleasure for us at the Florida Film Festival to be walking shoulder to shoulder with Full Sail University,” said Henry Maldonado, President of Enzian and the Florida Film Festival. The upcoming Florida Film Festival boasts a record-breaking year, including 167 films selected from 1706 entries, representing 31 countries. Of the 167 films, 144 are having their Florida premiere (or higher) at the Festival. Full Sail students, faculty and alumni have been a part of several films added to this year’s lineup including Krass, an Icelandic film produced and directed by Full Sail graduate Tomas H. Johannesson, which will have its Southeast US premiere and will screen during the International Shorts competition. The Orlando based production Renee, starring Kat Dennings and Chad Michael Murray, was announced as the opening night film. Full Sail University graduate David McKenna co-produced the film, which included scenes shot on the university’s campus and audio post-production work completed in Full Sail’s state-of-the-art dubbing stage. Several students, faculty and alumni worked on the film, which will have it’s East Coast premier during the Festival. Among the films scheduled to be screened during the Florida Shorts: The Best of Brouhaha, are two films featuring the talents of Full Sail University’s students, alumni and faculty. The short film Captain Fin was written, co-produced and directed by Full Sail University Directing Lab Specialist Kevin James O’Neill and was co-produced by Lighting Course Director Rob Tuscani. Twelve Full Sail University faculty members and 17 of the school’s students worked on the film, which was selected for an Audience Award at the 20th Annual Brouhaha Film & Video Showcase. In addition, Soup, a short documentary focusing on the trials and tribulations of Melbourne’s Daily Bread Soup Kitchen was written and directed by Mark Wright as a film project prior to graduating from Full Sail’s Film degree program. Various educational opportunities are available during the 10-day festival including a host of free forums and panel discussions. Full Sail University’s Program Director of Film, Anne Watters, will be a panelist featured during the “Perseverance: Women in the Industry” forum. 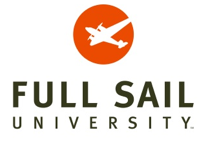 Full Sail will also provide the host location for a forum focusing on actions sports films, which will contain a screening of the Red Bull Media House film, The Art of FLIGHT. Outside of the numerous film options, festival goers are invited to explore the finest cuisine and an extensive list of special events, parties and Q&A sessions including the Academy Award-winning director Barry Levinson, discussing his film, Liberty Heights, which will be moderated by Full Sail faculty member Josh Mora. Additional celebrity guests slated to appear include Pop Icon Rick Springfield and Academy Award-winner Cloris Leachman.